The success of Airbnb and Uber -- two of the largest sharing economy platforms -- stems from their ability to offer lower prices for consumers, lower barriers to entry for service providers, work flexibility, and ease of connecting with renters/users. But what's behind the bargains seems to be posing potential health risks for service providers and service users alike. The sharing economy is not generating what would be considered to be "good" jobs. It's hard to avoid stories on the sharing economy these days, and for good reason: Companies like Uber, Airbnb, and TaskRabbit have transformed the way consumers connect with providers in commercial interactions. But the sharing economy isn't really about "sharing" at all. There's nothing particularly new about renting out a home to strangers, and unregulated taxis and other services in the informal economy aren't new either. What's new is the scale at which these interactions are now happening. The total number of guests who stayed with Airbnb hosts has increased 353 times in five years, from 47,000 in the summer of 2010 to nearly 17 million in the summer of 2015. There's a lot of discussion of about what this growth is doing to the hotel and cab industries and how to regulate these services. What's missing from these discussions is the impact on health. When we talk about impacts on health, it's not just about whether we have a family doctor, good health insurance benefits, or choose to eat the right foods. A growing body of evidence continues to show us that the biggest predictors of our health are what we refer to as the "social determinants" of health. These include our jobs, income levels, housing, food, education, racism, and connections to our community. The success of Airbnb and Uber -- two of the largest sharing economy platforms -- stems from their ability to offer lower prices for consumers, lower barriers to entry for service providers, work flexibility, and ease of connecting with renters/users. But what's behind the bargains seems to be posing potential health risks for service providers and service users alike. The sharing economy is not generating what would be considered to be "good" jobs. It is concerning that people who are already at a disadvantage -- those who have lower income -- are being asked to shoulder greater risks than they would be in other employment scenarios, which have greater protections and regulations. Some companies argue that they are simply arenas to connect service providers and users, labelling their service providers "entrepreneurs." They are then able to avoid costs like payroll deductions and employee benefits, and pass some of that savings onto consumers. What is happening, though, is that this new economy is expanding the class of precarious workers without dependable work hours or job security, and almost always no health care benefits -- all factors which have been well-documented to impact health. Beyond this, risks normally taken on by employers are being offloaded onto the individual service providers and consumers. For example, many hosts and drivers assume considerable risks by not being covered for any damage to their property -- whether cars or homes -- while offering services. In the case of Uber, a recent review by Alberta's government found that Uber's insurance policies do not meet provincial requirements, and standard non-commercial car insurance does not cover drivers when they are using cars for commercial purposes. These kinds of risks can be a significant source of mental and economic stress for individuals, both of which will have negative health impacts. Another way that the rise of the sharing economy may be differentially affecting health and well being is that it may be harder to enforce regulations against discriminatory practices. Under the Ontario Human Rights Code everyone has equal rights to opportunities for jobs, housing and services without discrimination. But on many digital platforms both service providers and users have easy access to information about each other, including photos, first names, and reviews, which can lead to discrimination. A recent study found a strong racial bias in the earnings of black Airbnb hosts in New York City compared to white hosts, finding that black hosts charge 12 per cent less for comparable listings than white hosts. Researchers point out that the sharing economy's seemingly routine mechanism for building trust -- by providing personal profiles and photos -- facilitates virtually unregulated discrimination. The rise in the sharing economy offers some obvious benefits to consumers by driving down prices and making rides, services and vacation rentals more easily accessible. 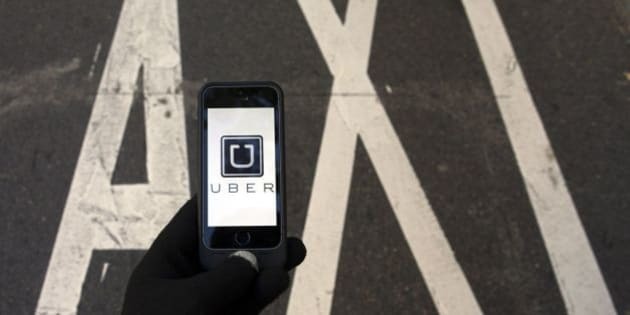 However, policy makers face several challenges in regulating the sharing economy and as they start to move forward with regulation, they need to consider the long-term impacts. This includes assessing how the sharing economy is impacting disadvantaged individuals such as lower income renters, precarious workers and racialized individuals, more than those who are better off.